We saw a fair amount of movies that were released between May 1 and August 30, 2013. Twenty-two in all, which are the only ones we can consider for our summer wrap-up. There are a few notable releases we missed, including big commercial hits (Fast & Furious 6, anything animated) and smaller (but critically acclaimed) films like Lee Daniels’ The Butler, Blue Jasmine, and Before Midnight. We also missed some high profile box office duds like R.I.P.D. and Red 2. Some of these we’ll catch on home video, some we won’t. Like most of you reading this, we have to shell out good money to see movies in the theater. Here’s our recap of what we were happy to spend cash on and what we wish we hadn’t bothered with. Surprisingly, we only agreed on one choice. Feel free to comment with choices of your own. 1) World War Z – Maybe not the deepest blockbuster ever made, this was certainly the most edge-of-your-seat entertaining of the summer. It also dared to play down during its climax, rather than try to up the ante continuously. Who cares about the behind-the-scenes drama (Runaway budget! Reshoots! ), the movie delivers nonstop thrills. 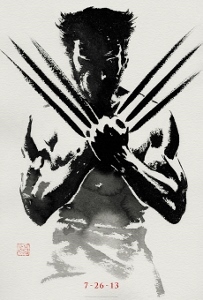 2) The Wolverine – The summer’s best comic book movie was also oddly inert at the box office. Perhaps action movie fatigue had set in by its late-July release, which is a shame because this betters its direct predecessor (X-Men Origins: Wolverine) by far and whets the appetite for next year’s X-Men: Days of Future Passed. 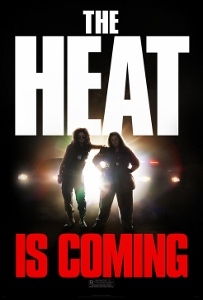 3) The Heat – A bit of a toss-up between this and We’re the Millers for funniest summer comedy, ultimately I’m giving it to Sandra Bullock and Melissa McCarthy. Maybe it’s just that I expected a mediocre action-comedy and was instead blindsided by an energetic buddy pic. Millers was funny in exactly the ways I expected. I anticipate higher repeat-viewing value from The Heat. 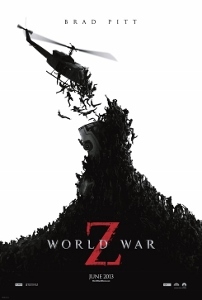 1) World War Z – This film departs from the usual zombie fare of a small group of people trying to survive as the undead swarms all around them. While I love those kinds of zombie films, I liked the breath of fresh air this one offered. As the title suggests, it depicts a zombie outbreak on a global scale, which I thought was a cool approach to the genre. 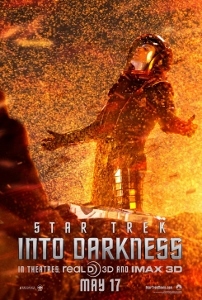 2) Star Trek Into Darkness – While I have a few problems with the film, I can’t deny how much fun it is to watch. A stellar cast and a fast-paced storyline help this film rise above a few story flaws. The interplay between Kirk (Chris Pine), Spock (Zachary Quinto) and Bones (Karl Urban) is the highlight of this film for me. 3) We’re The Millers – Going into the summer I wouldn’t have thought this film would make my best-of-the-summer list, but I always like to be surprised. This film wasn’t afraid to push the limits of raunchiness, without going overboard into utter ludicrousness. And unlike a lot of comedies that lose steam half way through, this one has laughs throughout. 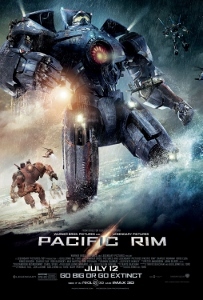 1) Pacific Rim – Positive reviews and enthusiastic moviegoer response left me totally perplexed. This pea-brained sci-fi actioner significantly rips off at least half a dozen better films. Just because a revered cult filmmaker (Guillermo del Toro) directed it doesn’t automatically give it any extra cred. 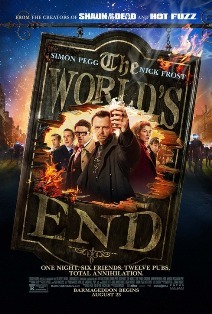 2) The World’s End – Maybe the summer’s sourest disappointment, this Edgar Wright/Simon Pegg collaboration commits the ultimate comedic sin: it’s not funny. Between Pegg’s relentless, obnoxious mugging and a concept that borrows far too liberally from Invasion of the Body Snatchers, this is another critic’s favorite that left me ice cold. 3) Grown Ups 2 – You might say, “After the first one, what did you expect?” Well I happened to quite enjoy the first one, a minor but ultimately heartfelt piece of fluffy fun. First off, Rob Schneider is MIA (big mistake). Secondly, the whole flick feels cobbled together from third-rate improve sketches rather than telling a coherent story. With a cast this capable, Adam Sandler and company should be ashamed. 1) Man of Steel – This movie missed on every level, but its most egregious mistake was leaving out the Man of Steel himself for most of the film. 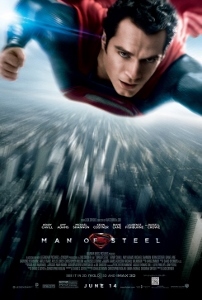 Not only is there not a lot of Superman action, but Clark Kent (Henry Cavill) was frankly a little boring. His moroseness due to being “different” wore thin after the first 15 minutes. 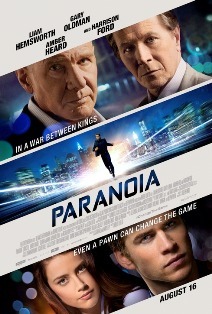 2) Paranoia – Sometimes you watch a movie and wonder why anyone wanted to make it. This movie begs that question, but even more perplexing is how it ever attracted Harrison Ford, Richard Dreyfuss, and Gary Oldman. This ultra-generic thriller, that has nothing to do with actual paranoia, should have never made it to theaters. 3) Getaway – Kind of like a big-screen version of Grand Theft Auto, this film is about as much fun as watching a friend play a video game. Endless car chases, mindless dialogue, and one of the most ridiculous plot twists I have ever seen make this film one of the worst of the summer, if not the year.